Here Stan Breckenridge is explaining the significance of vocalities in African American music. Here call & response and rhythm are demonstrated in order to engage the audience. 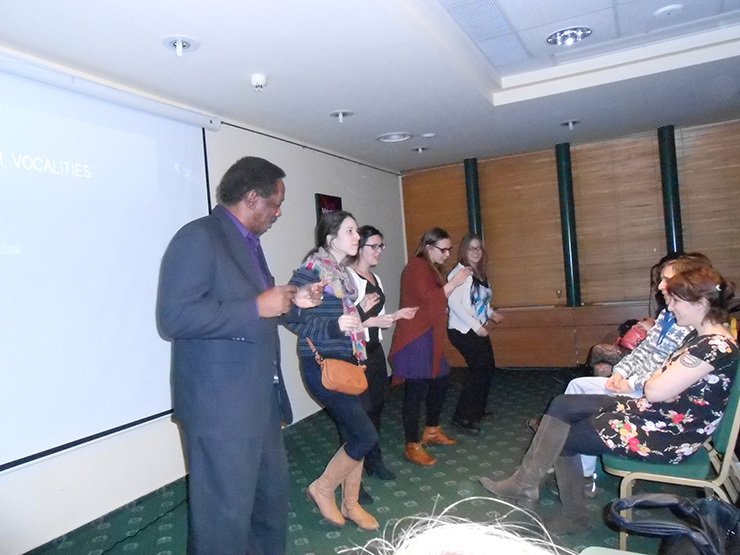 On December 7, 2012 American and Polish Fulbrighters traveled to Lublin and spoke about international academic exchange at various educational and community institutions.